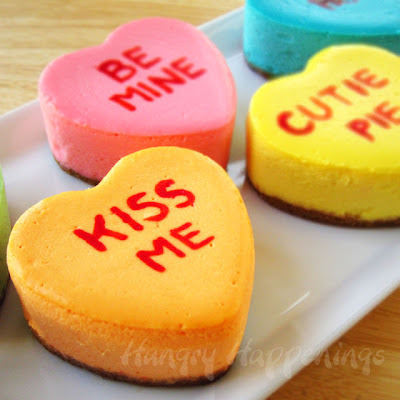 These colorful conversation heart cheesecakes would impress even the toughest Valentine critics. And the best part is you don't have to fork out a fortune for heart shaped springform pans. Beth created them, in two fun sizes, using silicon baking molds. You can check out the conversation heart cheesecake recipe over at Hungry Happenings. Oh my, I'm thinking those look mighty delicious! !